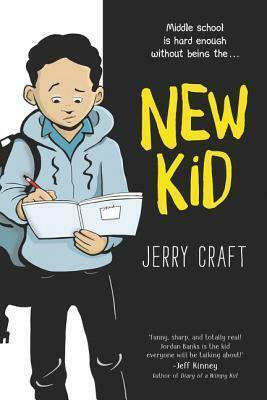 Jerry Craft has illustrated and/or written nearly three dozen childrens books, graphic novels and middle grade novels for publishers such as HarperCollins, Scholastic, Benchmark, Pearson and his own publishing company, Mama's Boyz, Inc. His middle grade graphic novel, New Kid, will be released by HarperCollins on February 5, 2019. Jerry has earned recognition from the Junior Library Guild, and has won five African American Literary Awards. He is the creator of Mama's Boyz, an award-winning comic strip that was distributed by King Features Syndicate from 1995 - 2013. He is a co-founder and co-producer of the Schomburgs Annual Black Comic Book Festival which has drawn close to 40,000 fans since its inception in 2013. Jerry was born in Harlem and grew up in nearby Washington Heights. He is a graduate of The Fieldston School and received his B.F.A. from the School of Visual Arts.